Viasat Inc. (NASDAQ: VSAT) will offer a satellite-enabled WiFi hotspot service—known as 'Community Wi-Fi'—to nearly all of Mexico. The new service will bring an affordable WiFi experience directly to consumer's devices, where historically internet service was unavailable or unusable. 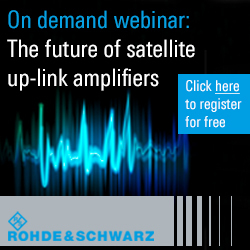 The service can be deployed with minimal local infrastructure investment, and showcases Viasat's ability to quickly bring cost-effective internet service to emerging markets where large gaps exist between demand, affordability and availability of internet services. Since April of 2016, Viasat has been conducting 'Community WiFi' trials at nearly 500 sites throughout Northern Mexico using the company's existing satellites and WiFi technologies. Today, these successful deployments cover hundreds of thousands of Mexican citizens, where internet service was unavailable prior. With the increase in ViaSat-2 satellite capacity and coverage, the company expects a further bridging of the global digital divide—reaching millions of people in unconnected towns across Mexico. 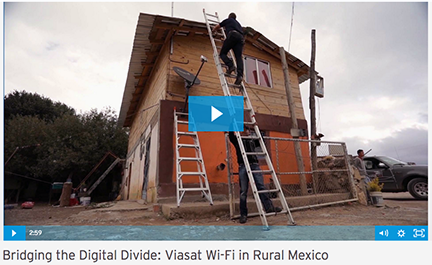 For additional information on how Viasat is bringing 'Community WiFi' service to rural communities in Mexico, watch this video. In 2014, Viasat acquired managed WiFi provider, NetNearU, which had successfully managed 14 million hotspots as well as operated a managed hotspot network in nearly 30 countries. With this expertise in-house, Viasat has the ability to affordably extend and manage the value and convenience of satellite communications over WiFi hotspots to a growing number of subscribers, from emerging residential markets to enterprises and commercial aviation. Viasat launched its commercial service in Mexico with Grupo Prosperist, a local telecommunications and technology service provider. Kevin Cohen, the GM, Consumer Broadband, Viasat Mexico and Central America, said that by leveraging the ViaSat-2 satellite system's low-cost capacity and higher speeds, coupled with the company's WiFi service expertise, a high-quality internet experience can be delivered—at affordable end-user prices—to millions of unconnected people living in both developed and emerging markets,. Viasat's work in Mexico is just the first example of how the company's services can be scaled for and monetized across the globe—while giving people living in underserved and unserved markets new opportunities to join the digital community."